Backed by Voyager Capital, Google Ventures, Data Collective, and StartFund, MindSumo is an online platform where students get money for proposing solution to interesting real-world challenges. The company was founded in 2011 and is located in San Francisco, CA. It participated in StartX, the Stanford Student Startup Accelerator, and launched at Stanford in February 2012. I’ve received some good comments from friends and strangers about this post. Thank you everyone! I hope this MindSumo summary and review guide will help many more to join this amazing platform, solve challenges, learn some stuff and earn pocket money. Yes! MindSumo is legit and safe. It is mainly meant to be used by college students and alumni. However anyone can use it, submit their solutions and win money. Even international students can sign up! You no longer need to have a .EDU email address. If you do have a .edu email address then it is good to use that email to sign up because you can then be directed to solve school specific challenges, if there are any available. If you’re reading this, I assume you are someone with curiosity, creativity, writing skills, innovative thinking, and you are willing to learn from past winner’ solutions to improvise your own proposals. So let me guide you through the process how you can build your resume as well as make pocket money without hard labor. How can users earn money on MindSumo? Users can make money by solving challenges on the platform. New challenges and prize money are added every week. 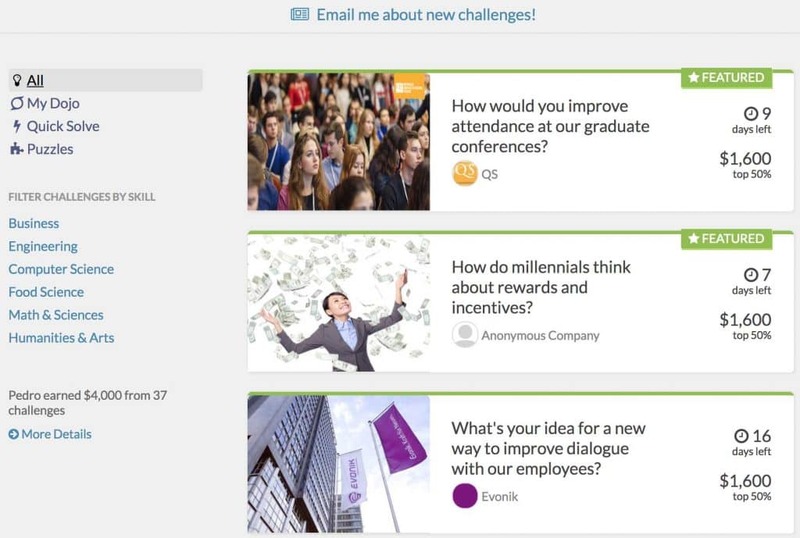 When a challenge is completed, the company hosting the challenge takes some time (usually 2 weeks) to review all the solutions that have been submitted. They then select the designated number of winners to receive prizes based on creativity, relevance, and feasibility. The winners are then notified via email, and can redeem their prize money through the MindSumo payment system. The winning probability is 50% because the top 50% of the submissions get rewarded with points. Points can be exchanged for Paypal cash. The amount of points depends upon how many submissions are there. But since there’s no limit on the number of challenges you can participate, you can create a win-win situation for yourself by participating more. A solution is an essay, or paragraphs. (You DO NOT have to implement or execute, you are only required to propose.) If you can propose a simple, legit and feasible method to solve the given challenge, that’s a job well done. Also, since the company understands that we are students, not professionals; there’s less competition among participants. 2. Use your .EDU email address and sign up using promo code “HOWARD”. – Using promo code HOWARD gives you extra $5 during sign up. 4. After you login, you should now see $35 on your rewards page. 5. 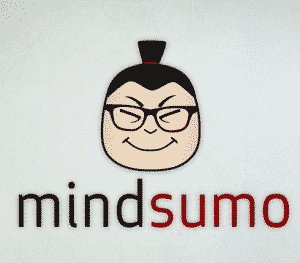 Link your LinkedIn account with MindSumo account for $5. 6. Become campus ambassador, for another $15. 7. Submit 1st challenge and receive $25, might take about 20 minutes. You now have $80. Solve additional challenge that sounds interesting, and earn $50-$500 per win. You can also win varying amounts for solving the math puzzles, sharing products and writing reviews. For reviews, get upvoted for points. Top influencers get paid to promote their favorite products. Tip: The reward for promoting products is $10 each. As shown above, there are always challenges to solve on MindSumo. Users can solve as many challenges as they can. For example in the example above, the top 50% of the submissions will receive in total $1600 reward prize money. The better the solution, the higher is the chunk of the reward won. Cashout on MindSumo is done through PayPal. You can cash out at every $5 or more. Note: You’ll need a .edu email address to sign up on MindSumo. When you use promo code HOWARD, you get $5 additional bonus and I get $1. Questions? Post below and I will answer. Awesome! Thanks for sharing. Just signed up and reached $50. Will write and submit my 1st challenge by tonight. Good luck. You may also solve the math puzzles and win $10 per puzzle solved through the lucky draws. How long will it take for me to cash out? I am waiting for the cashout. It says to “wait for a few hours”. Is that normal? Yes it is normal. Just hold on for about a few days (or even hours). Make sure your Paypal is well set up. They’ll email you when the amount is transferred. Good luck! Would a high school edu address work, you think? I think it will not, because MindSumo is only for college students, graduates, and alums. how can i get the edu email to register and it is restricted to a country? thanks. Hello Emma, MindSumo is not restricted to any country. You just need a .edu email address to join. You may ask one from your college. Typically universities give each of their students one. If not, try sending an email to MindSumo about your case. They might help you. I know a lot of people from my college have made at least some money out of this thing. I just signed up a couple of days ago. I am working on one of their challenges. Hoping to win that $150 prize soon! I have solved about 5 challenges thus far and won 1 for which they gave me$150! Quickest 150 dollars I have ever made as a college student. They recently changed the way things work. Maybe the promo code is not working. I’ll check and update soon. Thanks! Mindsumo pays in saturday or sunday? I’m not entirely sure but I believe its only Monday-Friday.